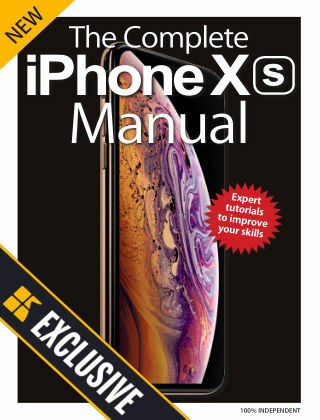 With Readly you can read The Complete iPhone XS Manual Readly Exclusive and thousands of other magazines on your tablet and smartphone. Get access to all with just one subscription. New releases and back issues – all included. Apple have unleashed their best ever line up of iPhones and the iPhone Xs stands head and shoulders above the competition, discover why inside this exclusive to Readly publication. Have you upgraded to the Xs and want to discover more about your new smartphone or are thinking of upgrading and want to get the insider information on it, look no further. The Complete iPhone Xs Manual is here for all your Apple iPhone needs. Learn how to maximise your iPhone Xs usage, discover inside tips and tricks to help you master your new device and expand your level of iPhone experience to the highest levels. 100% unofficial.